……. starting 1964…… The Adventurers, resident at the Papatoetoe Dance with ‘swinging compere Glyn Conway’ (Tucker)…..a record deal and name change to ‘The Gremlins’ ….green suits that didn’t suit you or me……a Christmas or two at the Ruakaka Surf Club doing their gigs and transport in Paul Newbury hearses for a few others……Eldred’s basement studio at Saratoga Ave…….picking you up for a gig from outside some butcher shop where you’d started work at 5am ……..your blue ’48 V8 Coupe that almost knew its own way home and often needed to……..the sunburst Gibson, and the other Gibson, the Fender Strat and the Gretch and the black Les Paul in bits under your bed….the big Fender amps that were almost unprocurable….photo shoots at The Shiralee…..practice out at the Whitford farm. Then later, Harriet’s love…and Joe, Tony and Steven….visits to Kaeo, Kaitaia and lately Hihi (Mangonui)…..gigs with Evo …….Glenfield Tavern reunions. Always a smile, Irish humour and logic, even in the difficult last few years of sickness. Almost a lifetime of friendship and memories. Just a few words about our mate Paddy on behalf of Ben Tawhiti and the band. I knew Paddy when he was playing with Keith Roache at the Onehunga Pub. Paddy was always our "fill in" guitarist. If Ben couldn't make it for a gig, we would usually give the gig away, but if Paddy was available we would use him. He was one of the few who could stand in for Ben. You also didn't know what kind of guitar Paddy would end up bringing to the gig. The latest Gibson or Grestch. He always seemed to be changing guitars. We got to know him and Harriet and the boys as close friends, visiting them when they moved to Kaeo and then to Kaitaia. Paddy was a butcher by trade and relieved the owners of different butcher shops around the city. We always stayed in close contact when ever he changed shop to make sure we got the best of the pork bones. Paddy's throat cancer make it difficult to communicate in the last few years, as Glyn said in his tribute, but the guy always had a cheery outlook and supported by the ever smiling and lovely Harriet. He was one of a few and could adapt his playing style to suit the mood of the tune. I regret to advise that my good friend and teenage bandmate, guitar enthusiast Paddy McAneney passed away on Sunday 27th September 2011 after a long battle with cancer. His funeral was held on Monday 29th, a private family only ceremony. Due to Paddy's severe throat cancer telephone communication has been impossible for several years, and with Paddy living in the far North it is regrettable we did not have recent communication. Paddy and I got together in 1958, at Howick, Auckland, when I moved to Auckland from Wellington (Upper Hutt). 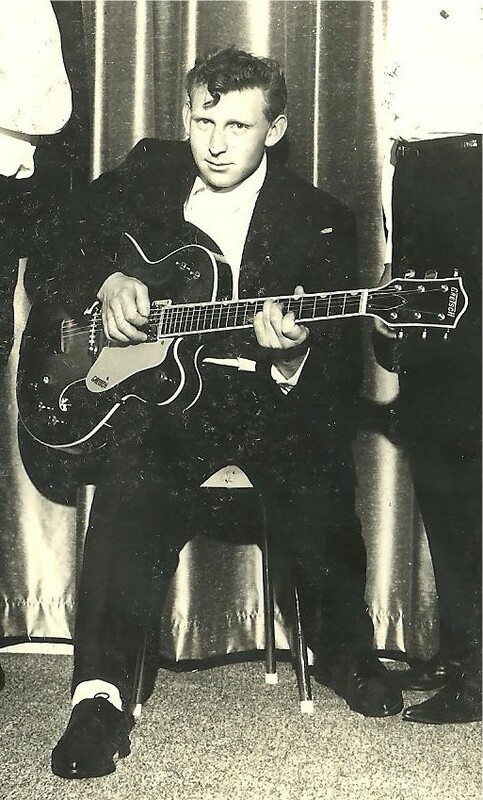 From the start he was a natural on guitar, with major early influences Scotty Moore, Les Paul, and Chet Atkins. He was one of the first to adopt the solid body electric guitar in the days when buying a Fender or Gibson was difficult due to import restrictions. He transcended from a Hofner Club to a solid body Victor (made by Jansen) with DeArmond pick-ups, and quickly became an expert on pick-ups and amplifiers. Whatever it took to get the Scotty Moore, Buddy Holly, Chuck Berry sounds we tried to emulate. 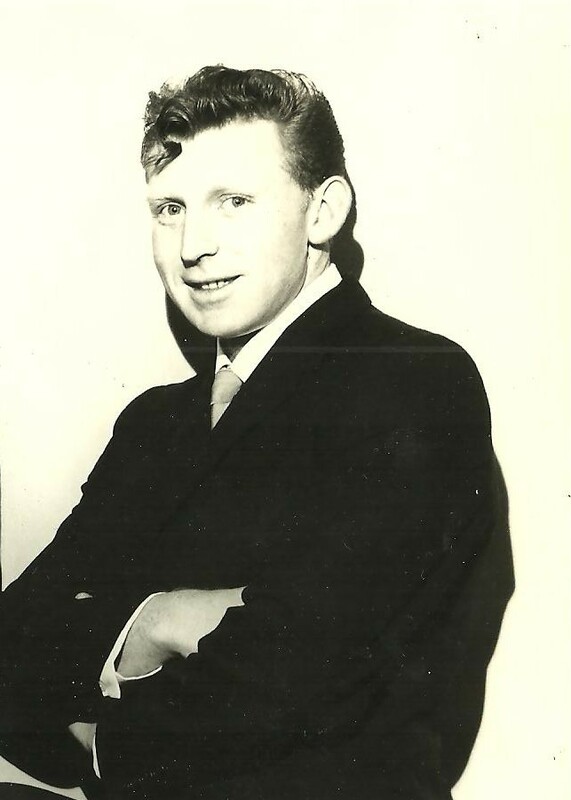 Paddy went on from the Gremlins to play with many bands around Auckland and later in the far North. Ben Tawhiti, Tiny Thompson, Evo, and many others enjoyed his musicianship and positive vibe. Paddy's death is a great loss to many of us who remember those pioneering days of rock and country music of the 50's and 60's.